The entire first season of the ground-breaking The Immortal series. 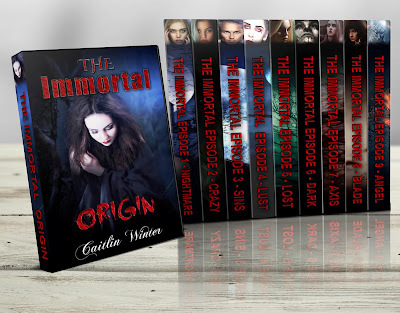 The Immortal: Nightmare, tells the incredible story of Ashling, the Swedish vampire, from her bloody beginnings in the early 1700's to her battle to the death with another, extremely powerful - and insane - immortal in modern day Romania. Part vampire romance. Part modern vampires of the city. Part bloody history of Ashling and her friends. The first season of The Immortal is surprising, funny and sometimes confronting. It tells of vampire love, loyalty and courage in the face of true death. Some people say that I am crazy. Of course, most of those people are dead now. This is a unique vampire romance story. Unlike any you have read. You will never forget The Immortal.